The Bricklayers Arms is a village pub between Colchester and Harwich in Essex with Real Ale & Real Food, roast Sunday lunches a speciality. Opposite Little Bentley Village Green. You can find us in the Good Beer Guide. We offer home-made lunches and evening meals and use only fresh local produce. Tables are available throughout the pub, or weather permitting you could dine alfresco in either the garden or on the Green. QUIZ NIGHTS AT THE BRICKLAYERS EVERY SECOND TUESDAY OF THE MONTH. The quiz begins at 7:45 and there is a maximum of 6 players per team everyone welcome, however due to popularity it is essential to book ahead. FOLK EVENING AT THE BRICKLAYERS EVERY FIRST TUESDAY OF THE MONTH. Music and singing for everyone to enjoy begins at 8:00 everyone welcome. BLUEGRASS MUSIC AT THE BRICKLAYERS THIRD TUESDAY OF THE MONTH. Lunches 12.00 - 2pm, Evening Meals 7 - 9pm. The Bricklayers, a village pub in Essex, provides the perfect stop for lunch or dinner, whether you're visiting the many coastal towns: Harwich, Clacton, Frinton, Walton on the Naze or the stunning towns and villages in the Heart of Constable Country; Dedham, Colchester etc. Little Bentley and the surrounding villages offer a choice of delightful accommodation. We are just 10 minutes from Harwich Ferry Port, so why not drop in for lunch on your way out or on arrival in Harwich. 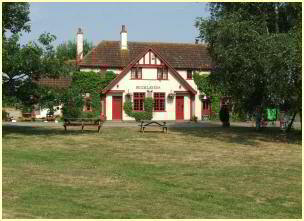 We're a village pub just 2 minutes off the A120, half way between Harwich and Colchester. and just 10 minutes from Colchester and the A12 which leads to Ipswich, or London and M25. Click here for an interactive map to help you find us and view the local area. 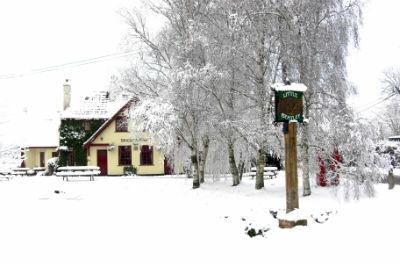 Village Pub nr Colchester and Harwich, Essex.